"This was a good project for me, because of how I approach things and think," says designer Kevin Heisler. "Frank Lloyd Wright would design all the elements, including the furniture, and that’s what my construction company had already been doing. It was serendipitous." 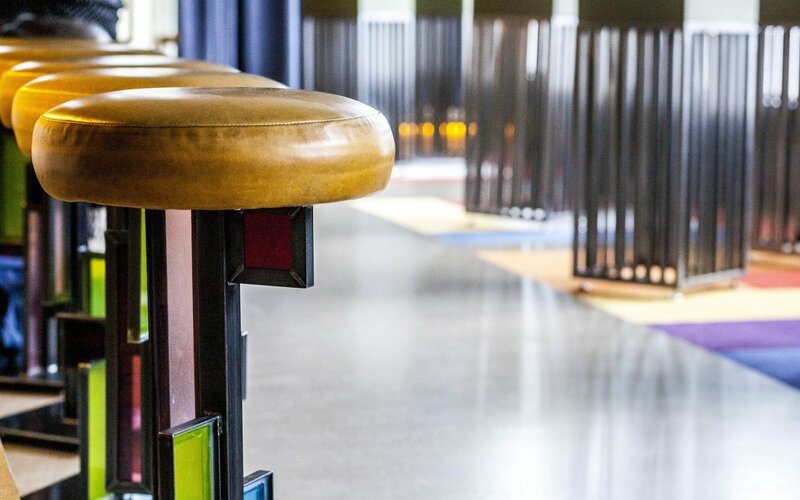 Heisler designed all the furniture elements at Chicago's Prairie School bar.